This chenille v-neck sweater is on sale for $27. These booties are out of my price range - but I love them! This “perfect shirt” is 40% off. This pretty lace dress is 85% off - and only $30! These suede mules are 50% off. This popular bag is over 50% off. This quilted jacket is only $70 - and comes in multiple colors. I love the color of this fall sweater. This plaid dress is a best seller. This plaid jacket with faux fur lining is only $60! This comfy sweater is only $16 - and is available in several colors! This camel coat is 35% off. Today on The Blended Blog we are sharing our favorite jeans. These jeans have become my favorites. They are comfy, high waisted, and do not stretch out - and wash up and wear great. Be sure to stop by and link up your post HERE. Yes. sometimes the confidence issue is a daily struggle. Know you are AMAZING and others look to you as a light of beauty in soul and strength! 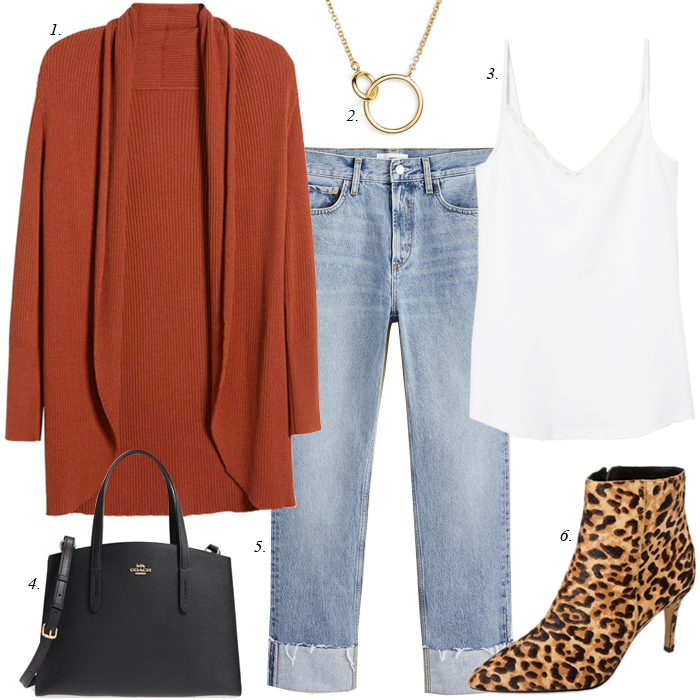 Rust is my favorite color this Fall so I am loving the outfit! Lisa you always find the best deals! Oh how I WISH I was in the market for a new bag because that Zac Posen one is a great deal! I would really love to add some cute leopard booties to my closet but I need to find a pair that are not only comfortable but affordable as well. The search is on! Those jeans are a must! You always put together the best deals and outfits. Confidence is definitely a struggle, mostly comparing yourself to those who "seem" to have it all together.